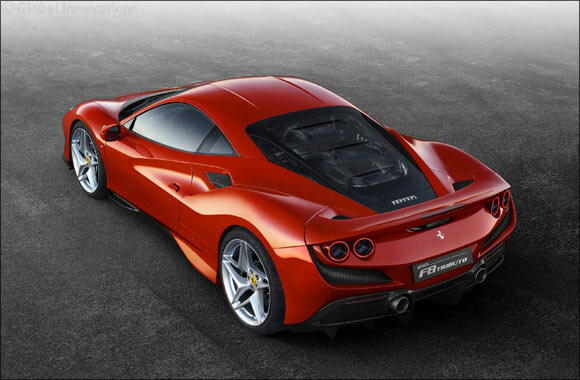 United Arab Emirates, 5 March 2019: The F8 Tributo is the new mid-rear-engined sports car that represents the highest expression of the Prancing Horse’s classic two-seater berlinetta. It is a car with unique characteristics and, as its name implies, is an homage to the most powerful V8 in Ferrari history. The underbody is of pivotal importance too, because it can generate high levels of downforce very efficiently. In the F8 Tributo, the position of the front radiators - which, unlike the 488 GTB, are rearward-angled - is beneficial in cooling terms but simultaneously shrinks the underbody surface area that can be used to generate downforce. Thus the geometry of the channels used to dissipate hot air had to be redesigned to ensure that maximum downforce was generated whilst cutting drag by 5% thanks to the positive interaction between the flows exiting the radiator and the front wheels.